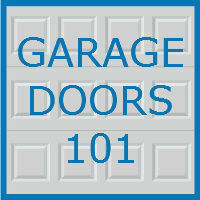 Most of us do not shop for garage doors very often, so when the time comes, making a decision can be difficult. If this is your first time shopping for a garage door, or if it has been a while since you have purchased a new door, welcome to Garage Doors 101. Here are all the factors you need to know about and weigh during your search for a perfect new door. Today’s garage doors are available in many different styles, colors, and sizes, so find one that fits your needs. Do you want windows? A wide variety of window options are available, and windows on a garage door compliment most homes. Are you looking for a class, paneled door design? Consider a steel garage door model. Or maybe you are looking for the sophisticated touch of a carriage house door model? If you home has a modern design, an aluminum door with glass can be a nice touch, and one that requires little maintenance. Color is also an important factor to keep in mind. You want a color that compliments your home, or adds a pop to the front of your property. Examine the rest of your home, and search for a door that matches well. The team at Blue Sky Builders can also help you make a smart choice when it comes to door style. Today’s garage doors come in various different materials, and each require different levels of maintenance and have varying lifespans. A wood door, for example, can be a beautiful addition to your home, but will likely require staining or additional painting every so often. Classic steel doors or carriage house steel doors have long lifespans and require very limited maintenance, but they may not add the same pop that a wood door can. For those looking for a wood door without the extra work involved, consider fiberglass garage doors, which come in a wide range of wooden looks but are durable and require little maintenance. A vinyl door is great at withstanding harsh weather, and these types of doors are rust-free and dent resistant. Glass and aluminum doors compliment modern homes, and are available in different colors and finishes, but they are less suitable for areas with harsher weather. In most homes, the garage door is one of the largest moving objects, so having one that is safe for you and your family is vital. Modern garage doors come with a wide variety of safety features, so find one you can trust to keep your family safe. Many doors are pinch-resistant, meaning they keep fingers away from the door while closing. Additionally, tamper resistant bottom brackets help prevent injuries from doors under tension. Polyurethane insulation can help prevent fires, another important safety feature. Any new garage door should be expected to last a while, but a good warranty is always beneficial. Many different garage door manufacturers offer warranties, but some only last a year or less. It is possible, however, to find a manufacturer with a long lasting warranty. Additionally, a good warranty indicates that the manufacturer believes in the door, so you can have peace of mind knowing you have made a good choice. As with any home improvement project, cost will likely play a big role in your decision making process. Fortunately, many garage doors are affordable. In general, wood doors run the most costly, followed by fiberglass, and then steel. Keep in mind that you will likely not be replacing your door for a while, so spending a little more than you would like but for a quality door may be worth it. Additionally, a quality door can bolster your property value. 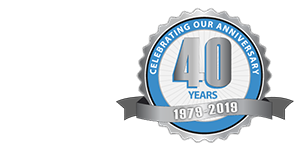 The team at Blue Sky Builders can help you with finding the perfect garage door. We can design and create your door, offer installation services, and perform future maintenance. We offer a wide variety of quality garage doors and openers, in various colors, materials, and styles. Call 630-852-8485 or visit Blue Sky Builders online to learn more today.